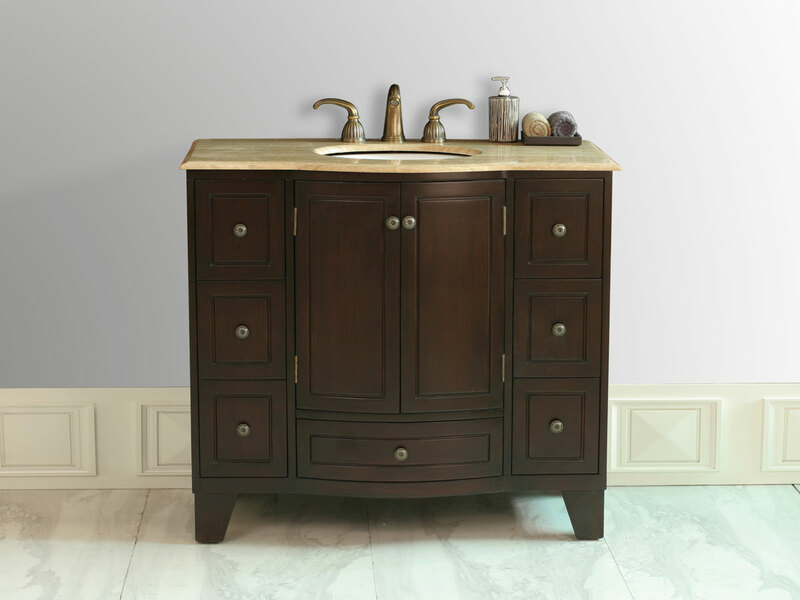 The royal look of the 40" Monroe Single Bath Vanity is a look that will illuminate any traditional bathroom with a fresh look. 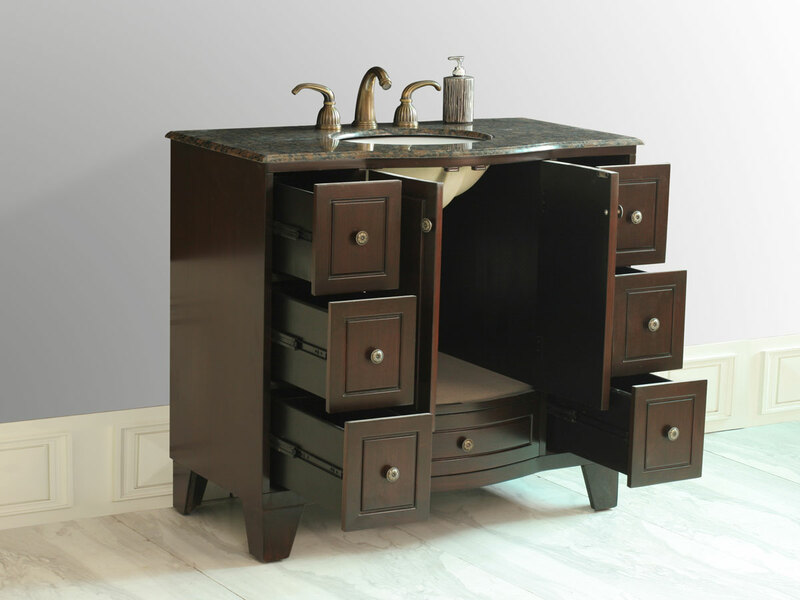 The sophisticated Dark Espresso finish of its cabinet gives it an attractive front that is mirrored by the numerous drawers and central cabinet. 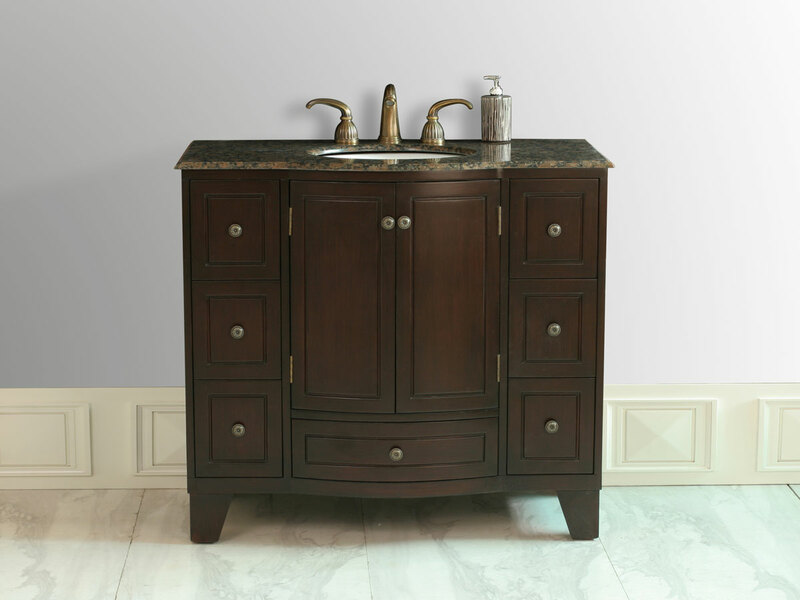 It is equipped with 7 large drawers and a 2-door cabinet for plenty of storage space, with handles that make accessing your bathroom essentials easy. 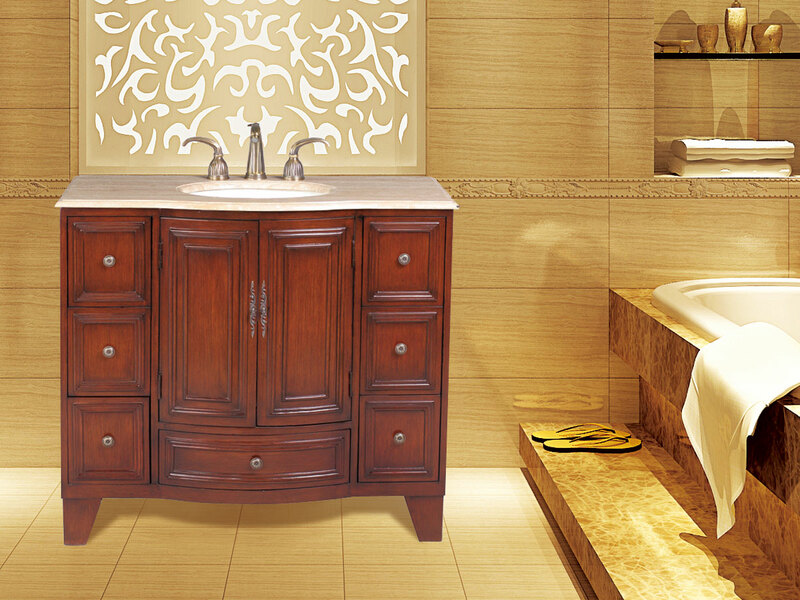 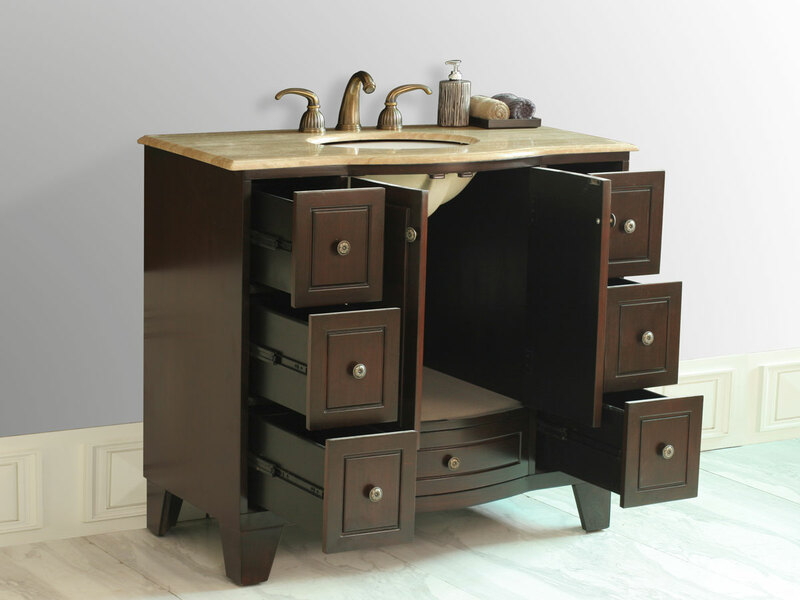 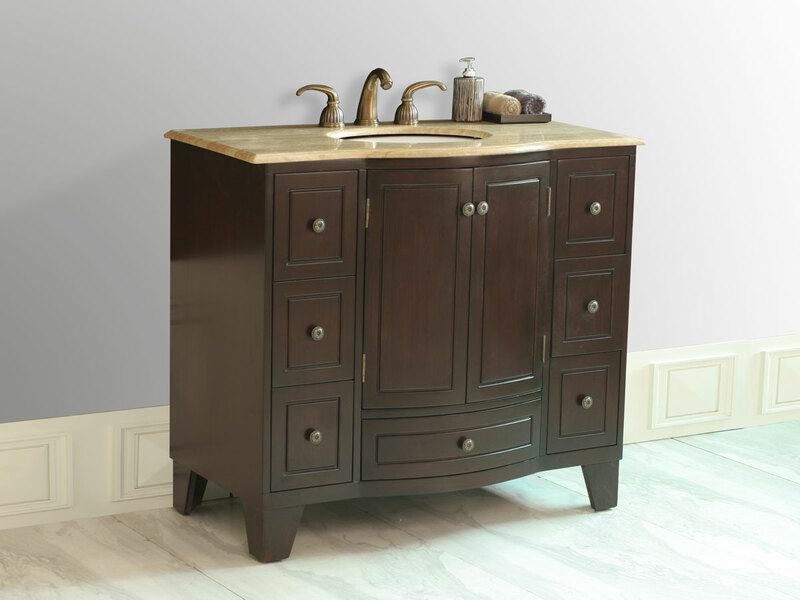 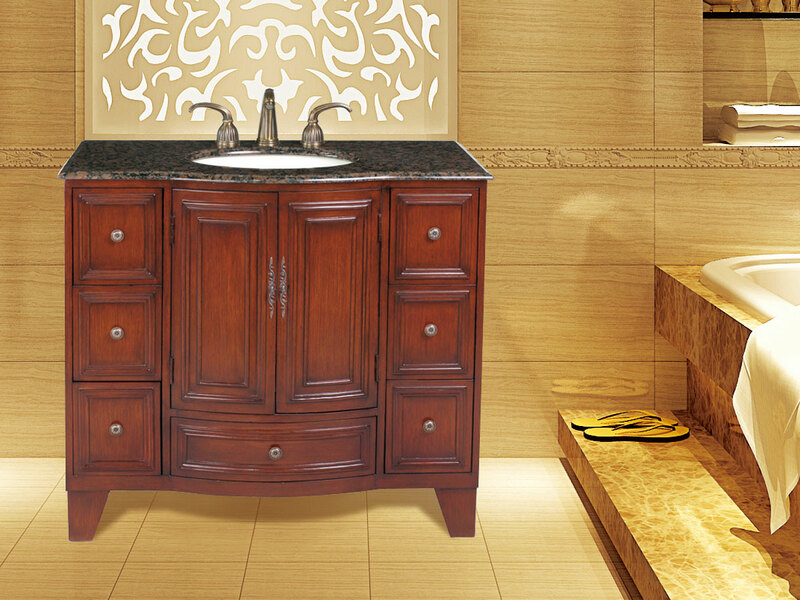 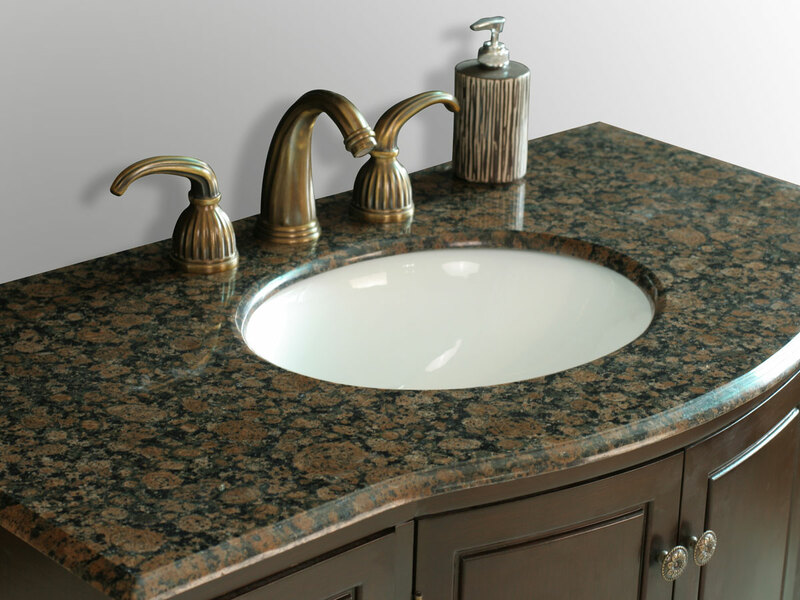 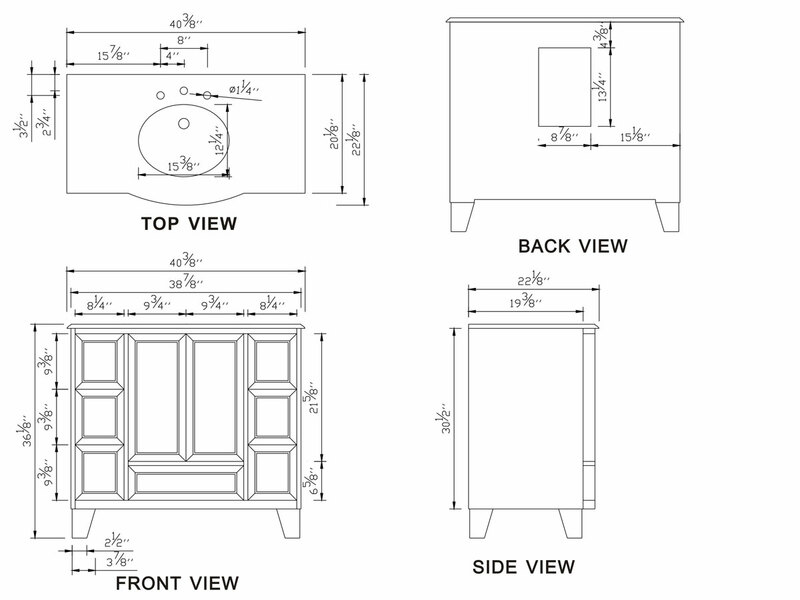 The classy rustic patterns are hand-carved to further enhance the antique looks of this magnificent bathroom vanity. 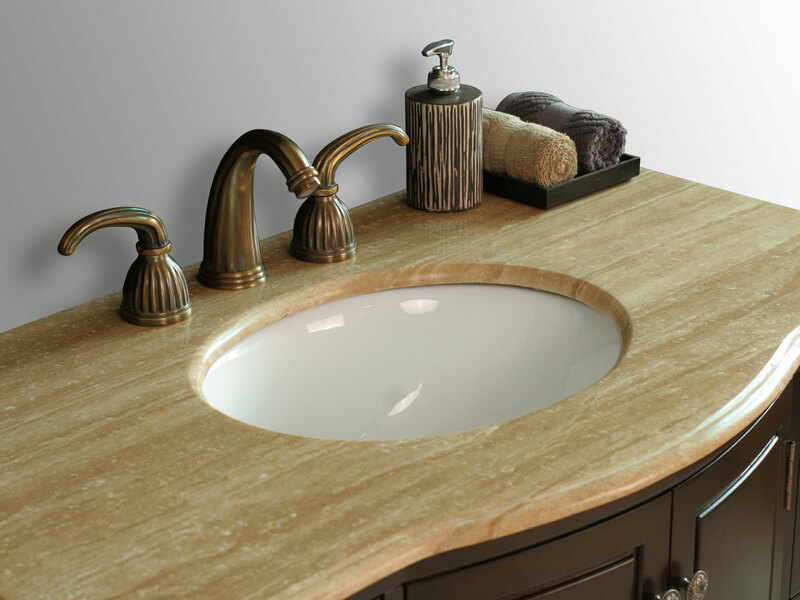 Choose from a Travertine or Baltic Brown top.